Why Are Manual Transmissions Disappearing? It's gotten to the point that Car and Driver magazine, the bible of automotive enthusiasm, has started a campaign and developed its own Twitter hashtag to #SavetheManuals. But it hasn't gained much traction among the general population or among automakers. The latest figures show only about five percent of cars are sold with a stick shift. The numbers peaked at about 25 and 30 percent of production in 1987 for cars and 1990 for trucks, according to EPA statistics. They've seen a steady decline since. 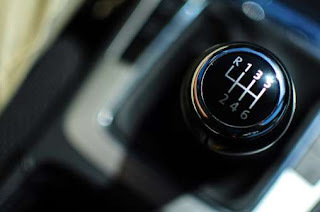 Now manual transmissions are relegated mostly to sports cars, such as the Mazda Miata and the Ford Mustang. They are even getting hard to come by in exotic cars like Ferraris and Lamborghinis. You can get one in a smattering of compact cars and a single midsized offering in the Mazda6. A few small SUVs also offer manuals, but mostly on loss-leader two-wheel drive models. You can’t even buy a full size pickup with a manual transmission any longer. “Manual transmissions make up a fairly small number, and that number tends to decrease rapidly as you move up the model line-up for any car,” says Michael McHale, Subaru's director of communications. You may why there is such a lack of interest in what used to be a rite of passage to acquiring a standard life skill, but it is mostly because of economics, technology, regulation, and social factors. Benefits that used to define manual transmissions have now been surpassed by automatics. New automatically controlled continuously variable transmissions (CVTs) have the potential to get even better gas mileage. “We saw a big drop in manuals when we introduced the CVT with much better fuel-economy,” says McHale. Automakers are pushing to develop better and better automatic transmissions as they chase every last fraction of mpgs to meet ever tightening Corporate Average Fuel Economy (CAFE) standards passed by the EPA. Automatics give engineers better control over how every drop of fuel is used in every revolution of the engine, and every molecule of pollution that comes out the tailpipe. Every stick shift they sell that gets worse gas mileage than an automatic drags down their average fuel economy. If they don't meet the steadily increasing targets on the way to an average of 39.4 mpg by 2025, automakers face big fines. As drivers encounter more of these excellent modern automatics, fewer are interested in learning to drive a manual. The numbers are vague when looking for a percentage of people who at least know how to drive a stick, but they range from a high of 60 percent to a low of just 18 percent. “If you're of a certain age, you may never even have seen one,” says Seredynski. That trend is accelerating with help from a multitude societal factors such as traffic congestion, advanced infotainment systems, and even autonomous driving. “For manual models to exist, there has to be a way for those models to seamlessly be able to accommodate technology without distraction,” says Jacob Brown, a product communications specialist with Mazda, who probably sells a higher percentage of manuals than any other automaker today. Even drivers who might prefer a manual are thinking twice before buying one to sit in traffic on their daily commutes. If there's a silver lining for stick shift lovers, it's this: “There is a part of the market that enjoys driving manual cars,” says Brown. “In most cases, it isn’t a financial decision anymore; it’s a choice of how people prefer to experience their cars.” It's a sentiment shared by all of the automakers we contacted and it explains why so many sports cars are still equipped with manual transmissions. The newly redesigned Mazda Miata offers a capable automatic, but 60 percent of its buyers choose the manual. Ford's No. 1 selling manual-equipped car is the Mustang, and you can't buy a Ford Fiesta ST or Focus RS with an automatic. Even in relatively mainstream cars buyers who want a manual transmission are willing to pay for it. Mazda sells three times the percentage of manual transmissions in highly equipped Mazda3s Grand Tourings as it does in entry-level Mazda3i Sports. There's a joke going around about the best automotive anti-theft device on the market. The punchline? A manual transmission.